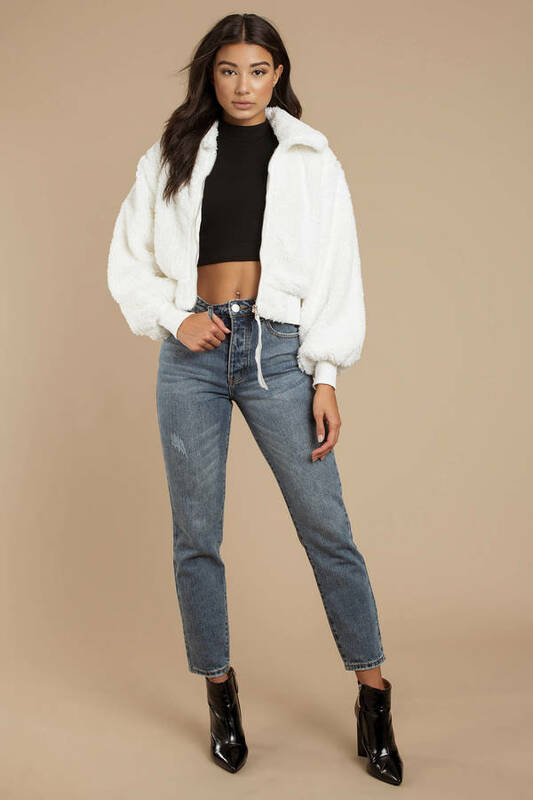 Check out Tobi's Ada Faux Fur Zip Up Jacket Fuzzy feels forever in the Ada White Faux Fur Jacket. This zip up jacket features only the softest faux fur, front zipper, large collar, ribbed cuffs, and puffy bubble sleeves. Perfect for chilly nights out at your next winter getaway, pair this faux fur moto jacket with ribbed leggings and booties. 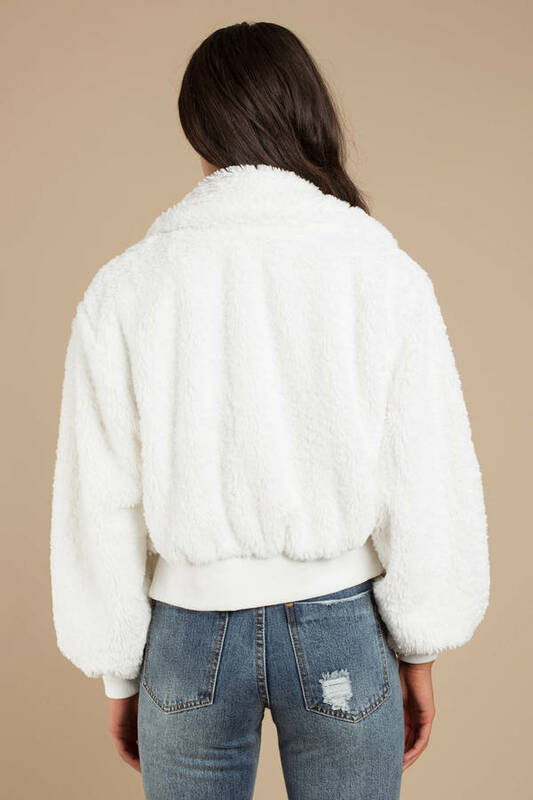 Fuzzy feels forever in the Ada White Faux Fur Jacket. 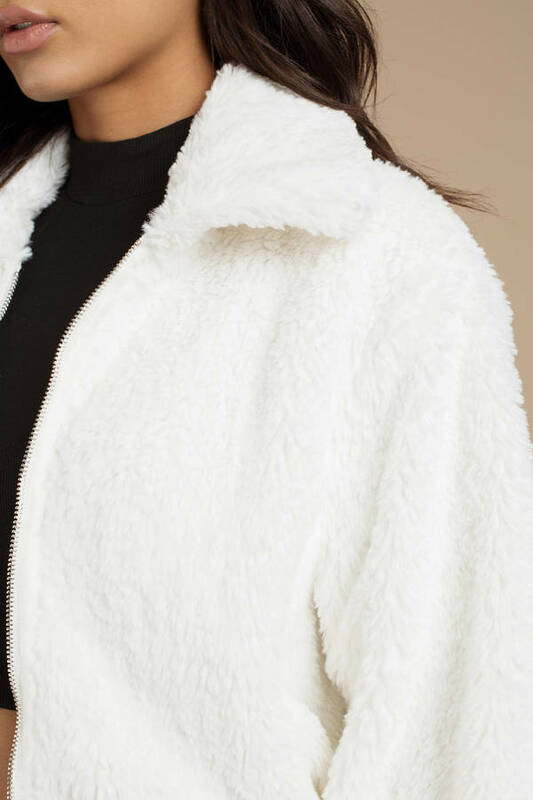 This zip up jacket features only the softest faux fur, front zipper, large collar, ribbed cuffs, and puffy bubble sleeves. Perfect for chilly nights out at your next winter getaway, pair this faux fur moto jacket with ribbed leggings and booties.